Thought I’d try my hand at writing a couple of short reviews in the hope of winning a $50 dStore voucher. Don’t let the sci-fi-ish nature of the title fool you; this novel is probably one of the most moving and emotional love stories that you will ever read, bar none. 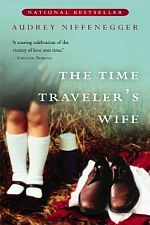 The “gimmick” – that the protagonist Henry DeTamble randomly and uncontrollably travels through time – is a device that is used to explore every nook and cranny of the relationship between Henry and his wife Clare. The narrative is expertly crafted, the characters believable and the emotions are raw and realistic, leaving you breathless after being taken on such a gripping journey from the lowest depths of despair to the highest peaks of joy that one could ever hope to experience in life. Truly a modern masterpiece. Forget what you thought you knew about James Bond. Whether you like Daniel Craig or not, this is meant to be a totally different Bond to the one from your parents’ era. This movie is based on the first novel by Ian Fleming, and starts with the origins of the character, in the time before the smooth-talking, martini-drinking double-oh agent. Long time fans might find this a bit incongruent to the Bond they know, but by the end, you will start to see how he became the jaded womaniser that he is in the later movies. Admittedly, the second half of the film moves at a somewhat plodding pace, and lacks the action and the excitement of the spectacular opening, but still manages to offer something different to the usual macho-romp that is typical of the genre. A worthy “reset” of the series, in a field filled with both less deserving candidates (e.g. Superman Returns) and more (e.g. Batman Returns).